Nearly all of the surveyed parents (98.8%) reported being able to speak Spanish, while only 29.6% reported being able to speak English. 60.4% of respondents reported that their child’s school did not provide translated homework; of these, 70.2% said receiving translated homework would help. 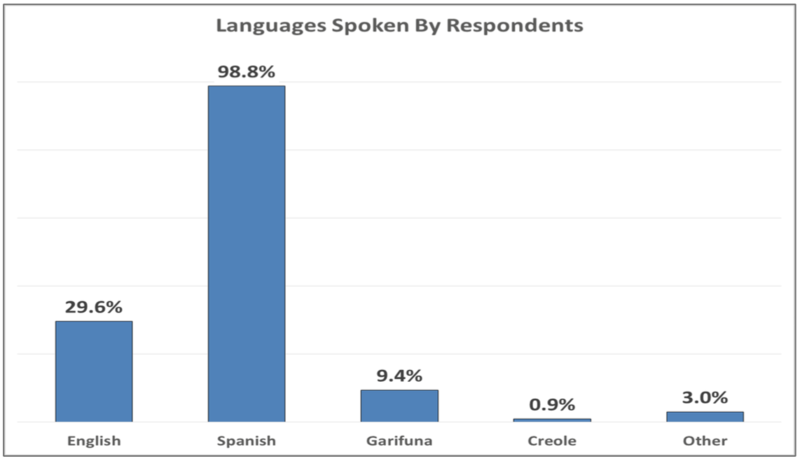 Although these statistics cannot speak to all Latino parents in New Orleans public schools, they do suggest that providing outreach and learning materials in Spanish and English would alleviate the barrier to parent involvement in education. Increased efforts to educate parents on skillfully dealing with school staff and navigating the OneApp process in addition to making EnrollNOLA aware of the obstacles parents currently face would help alleviate parents’ experiences with these challenges. 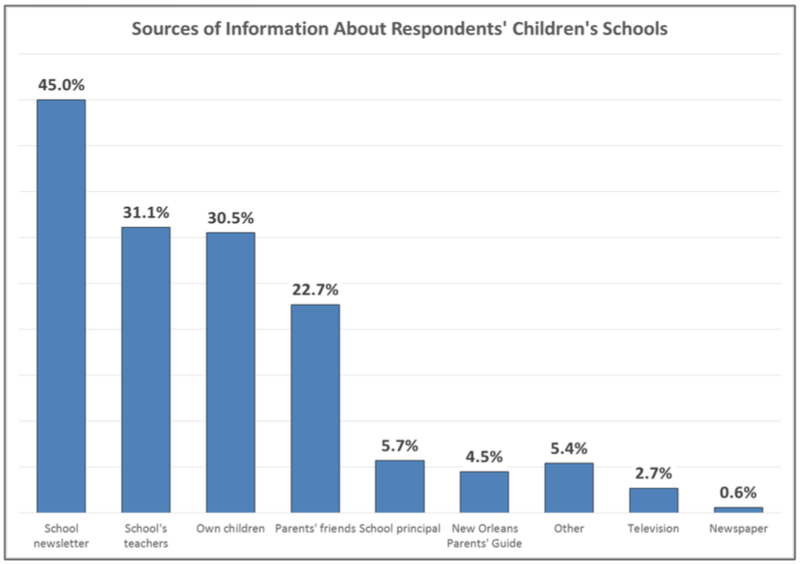 85.8% of respondents reported receiving info about their children’s schools from at least one of the following four sources: the school newsletter (45%), school’s teachers (31.1%), from their children (30.5%), and from their friends (22.7%). These informational channels should be taken advantage of n order to disseminate information about school policies to Latino parents. The survey results suggest that the city’s Latino parents are interested in being further engaged through community education initiatives. 82.5% of respondents said that they’d be interested in attending a class or workshop about how parents and family members can help their children learn at home. These respondents expressed high levels of interest in the following four subject areas: adult ESL classes (56.4%), workshops on health and dental services (40.7%), workshops on finding college funding (39.9%), and workshops about immigration and legal services (39.6%). 35.2% of parents also demonstrated interest in workshops on education and what it means for their child, 33% on career choice for students, and 29.7% on college admissions tests. The results also show that the best place to hold these workshops are at schools. 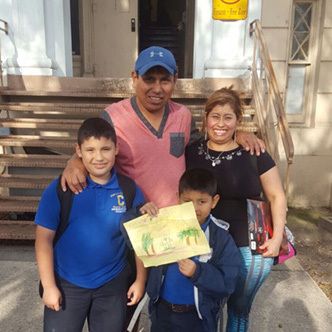 New Orleans’ Latino parents face challenges in getting their children educated because of the parents’ limited English proficiency, the school system’s decentralized administrative structure, and the nuances of the centralized enrollment process. Over 80% of our survey respondents expressed interest in attending workshops that will help them help their children get the most out of their education. The challenges these parents identified are surmountable through the efforts of organizational actors’, such as community groups, OPSB and schools. By working with parents, these actors can help Latino students realize their full potential and ensure a bright future for the next generation of New Orleanians.